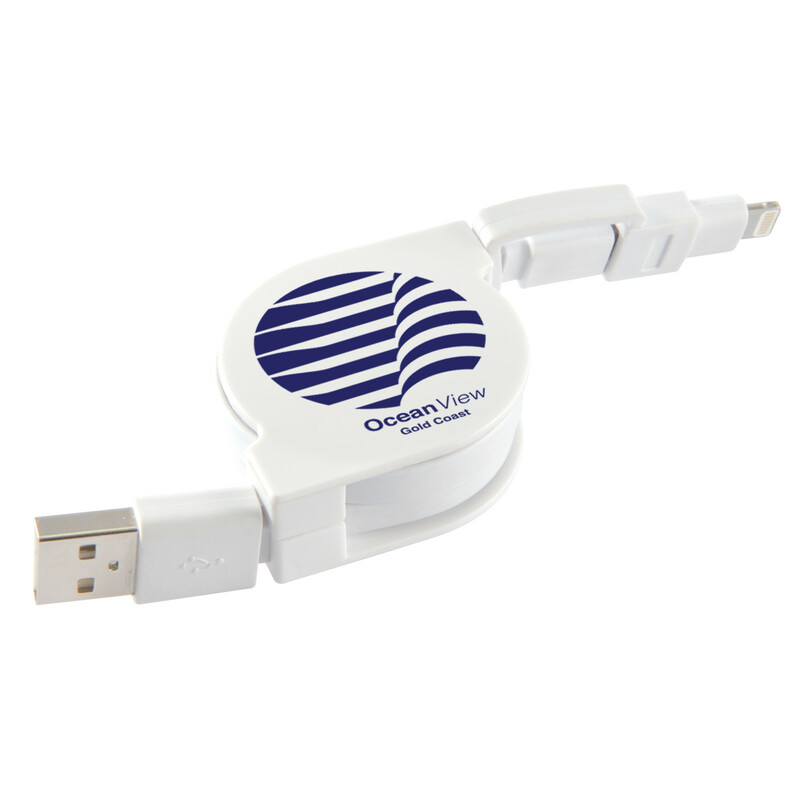 Retractable USB cable with micro USB and 8 Pin connector cable. Will sync and charge devices via USB port. 1 metre long when extended and will carry 2.1 Amps. Factory instructions printed under dome on 1 side.